Dajana and I stopped over at Arise the other day and to our suprise Ink Engine had sold out. So we restocked! I also stocked copies of my own illustrated zine Animals. 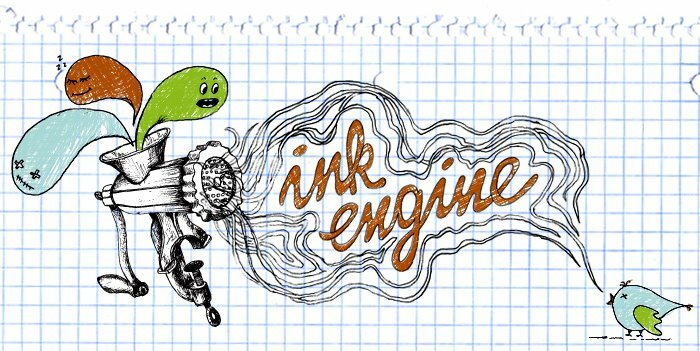 Have you picked up a copy of Ink Engine #1? If so what did you think? We would really like to know! You can now find copies of Ink Engine at the Minnesota Center for Book Arts which is located in Minneapolis in the Open Book building. Yipee! Have seen this around the web a lot recently so i thought I would check it out. 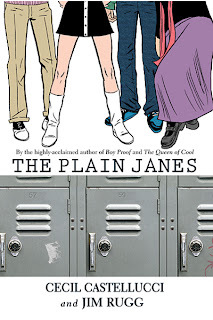 The Plain Janes by Cecil Castellucci and illustrated by Jim Rugg is a graphic novel aimed at teenage girls. Even though that is not me any longer I still rather enjoyed it. I specifically enjoyed the P.L.A.I.N. (People Loveing Art In Neighborhoods) art pieces the 4 Janes created in their town. Though they were known as "art terrorists" it made me really wish that I had taken sculpture in college. Very cute and inspirational. "Art saves." If I directed music videos this is what i would hope to achieve and The Bird and the Bee video for "Again and Again". This is so hilarious you guys. Wanna start a tournament? check it! Faceball Promo from Face Ball and Vimeo. I was pleasantly suprised this morning to come across the trailer for the new Wes Anderson movie. He's my favorite director so there was some screaming involved. Check it out, very colorful. Unlike some of his previous movies this one is coming out in September not December! 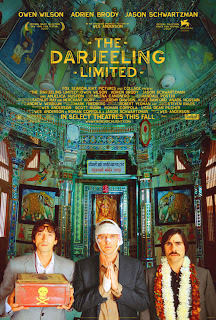 It will be interesting to see how Adrien Brody fits into Wes Anderson's world. Came across an interesting flickr group containing photos of the items people carry around with them on their person or in their purse/bag whatever. Pretty interesting.